Home Tags Articles tagged with "City of Maricopa"
Maricopa City Code requires all business and residential alarm users to obtain an alarm permit and register that permit with the city’s alarm administrator. Policy updates were made back in October, and are going into effect on Monday, March 11. On Oct. 4, 2018, it became the responsibility of the alarm user to register and annually renew their alarm system permit with the alarm administrator. Registration must be completed by the alarm user within 10 days from the date of installation of the alarm system. 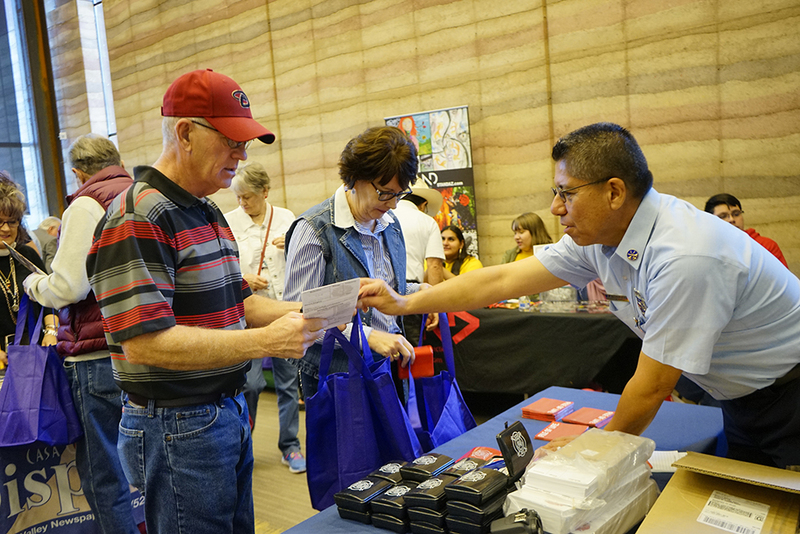 Registration will be completed online using the City of Maricopa’s SMARTgov online portal. If no computer or Internet access is available, the alarm user should visit either City Hall or the Police Department for assistance to register their alarm permit. If an alarm user has multiple alarm systems, a permit is required for each alarm system even if the alarm systems are located at the same address. A fee of $20 per alarm permit is required upon registration and annual renewal. Any change of address or ownership of the alarm system will require a new permit to be registered and will be subject to the $20 registration fee. Alarm permits are not transferable. 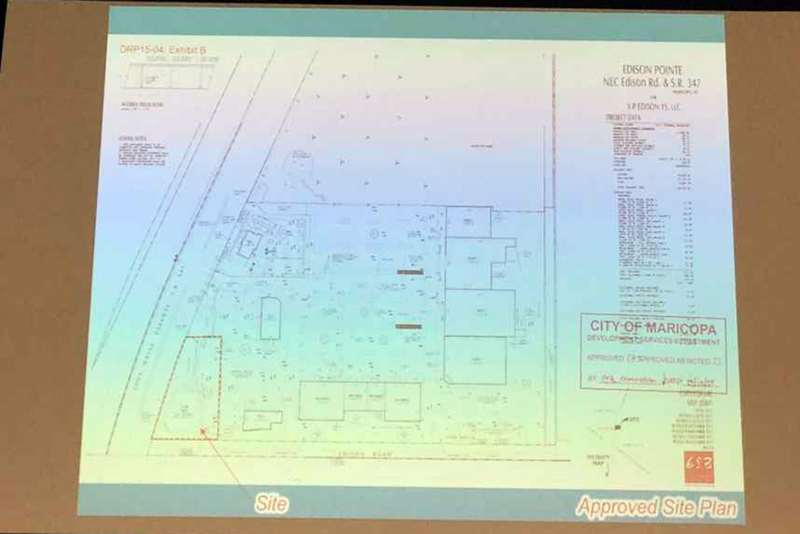 Permits expire 1 year from issuance. The alarm administrator will notify the alarm user of the need to renew the alarm permit 30 calendar days prior to the expiration date. An alarm user to which law enforcement are requested to respond to a false alarm, shall be charged a false alarm fee. No fee shall be charged for the first false alarm, if the alarm user completes an online alarm user awareness class and submits the alarm user awareness class acknowledgement within thirty (30) days of the date of the false alarm notification letter. For alarms received from governmental building alarm systems. 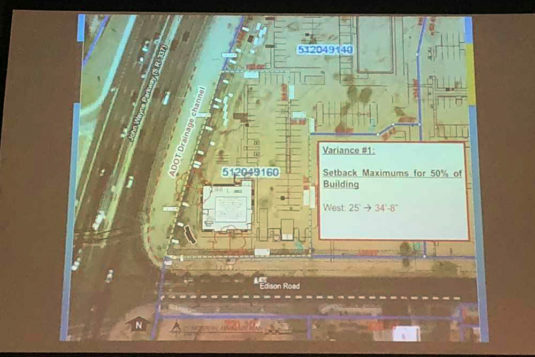 If an alarm is received by the City of Maricopa Police Communications Center from an alarm system which has not been registered or renewed as required in Article 10-4 Alarm Systems, a civil penalty of $100 shall be assessed against the alarm user for having failed to register or renew the alarm system within the City of Maricopa. Such penalty shall be in addition to the false alarm charges assessed to the alarm user. Should a disagreement arise over whether any particular false alarm fee or civil penalty should be assessed, the alarm user may appeal by submitting a letter of appeal within 10 calendar days of the date of invoice. Failure to submit an appeal within ten (10) days of the notification date shall constitute a waiver of the right to contest the assessment of fees or civil penalties. A full copy of the appeal requirements is available on the Internet. 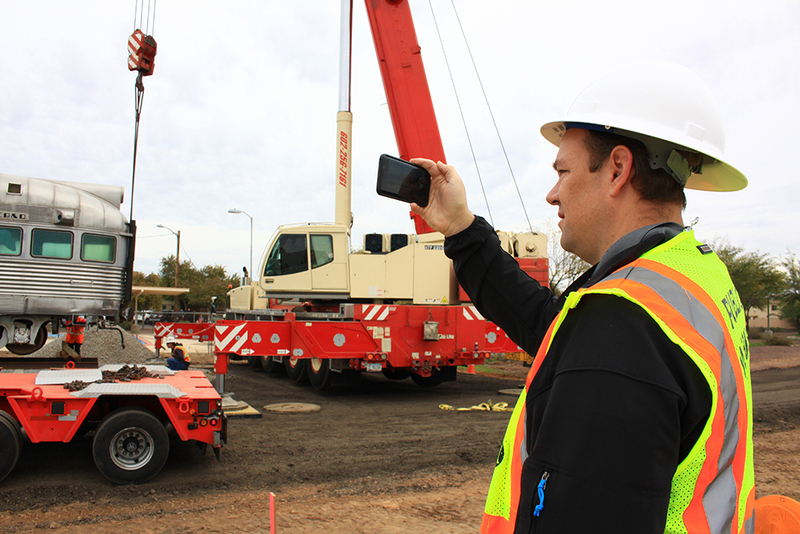 All false alarm fees or civil penalties are due and payable within 30 days from the date of invoice. If an invoice remains unpaid, a $5 late fee will be assessed for every 30 days the account remains delinquent. The failure of an alarm user to make payment of any assessed civil penalty(ies) within ninety (90) days from the date of the invoice may result in discontinuance of law enforcement response. Pays, or otherwise resolves to the satisfaction of the alarm administrator, all fees and/or penalties. Sufficient articulation in writing, addressing proactive measures to be implemented, preventing false alarms in the future. Certification from an alarm company, properly licensed, stating that the alarm system has been inspected and/or repaired (if necessary), only with cases where repetitive, obvious malfunctioning of the alarm system occurred. The City of Maricopa offers a free online false alarm school for alarm users who have had false alarms. The alarm user awareness class is available on the internet. The class and the alarm user awareness class acknowledgement form both need to be completed within thirty (30) calendar days of the original notification date. The class can only be taken for one false alarm in a twelve-month period. If the alarm user does not complete the on-line alarm training and submit the acknowledgement within the proper time frame, a civil penalty of $50 will be assessed to the alarm user’s account. Q: Who needs an alarm permit? A: Every residence and business within Maricopa city limits with an audible alarm, monitored or not, is required to obtain an alarm permit from the Maricopa Police Department within 10 days of installation or 30 days from obtaining possession of a property with an alarm system previously installed. Q: Where do I go to apply for or renew my alarm permit? A: Visit the city web page here and follow the instructions to apply for an alarm permit. Q: What is the cost of an annual alarm permit? A: Alarm permits cost $20 annually. A $5 per month late fee will be assessed for every 30 days the alarm permit fee is not paid in full. A: Alarm permits expire 12 months from the date of application. A renewal letter will be e-mailed approximately 30 days before the expirations date with instructions on how to renew an alarm permit. Q: What do I do if I need to make changes, or cancel my alarm permit? A: To make any changes or cancel an alarm permit simply log into SMARTgov and update the information. Follow the same process to cancel an alarm permit. Q: Does my alarm permit transfer if I move to a new house? A: No. Alarm permits are non-transferable and non-refundable. You will need to apply for a new alarm permit for the new residence. Q: What happens if I don’t get an alarm permit and the police are called to my property? A: If the police are called to your property and no alarm permit is on file, a Failure to Permit Fee, in addition to the false alarm will be mailed to your property or emailed within 30 days. 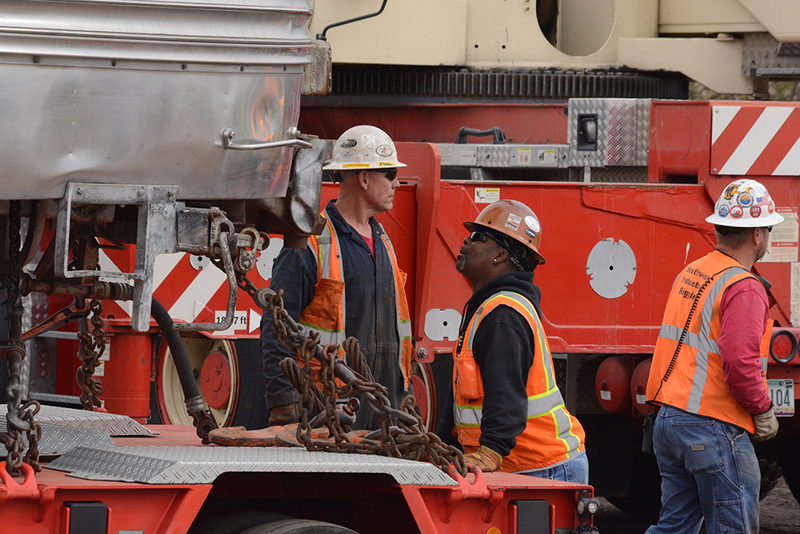 Failure to permit/pay the assessment will lead to further civil penalties. Q: I have additional questions about alarm permits, who do I contact? A: Any additional questions can be e-mailed to alarm@maricopa-az.gov. Your e-mail will be returned within two-three business days. Q: What is a false alarm? A: City of Maricopa ordinance 10-4 Alarm Systems defines a false alarm as the activations of an alarm system through mechanical or electronic failure, malfunction, improper installation or the negligence of the alarm user, his/her employees or agents, and signals activated to summon law enforcement personnel. Q: What does the city hope to accomplish by enforcing the false alarm ordinance? A: The City and the Police Departments goal is to reduce the number of false alarms that occur in the City of Maricopa, allowing the police department to use their resources more effectively. Q: Are false alarms that big of a problem? A: Yes! Approximately 95 percent of all alarm calls are found to be false. This amounts to hundreds of hours spent responding to false alarms by police officers. Q: I received a false alarm letter, what do I do next? A: If your alarm was a true false alarm, follow the instructions on the letter to pay the false alarm fee, or complete the online alarm user awareness class. If you believe you were charged a false alarm fee erroneously, follow the steps to appeal the false alarm. Q: What is alarm user awareness class? A: False alarm school is an easy power point presentation that give great tips on how to prevent false alarms. This can only be taken once every 12 months, and it waives only one false alarm fee for that permit year, up to $75.00. Q: How do I appeal a false alarm charge? A: All appeals must be submitted in writing within 10 days of the letter. You will receive a written response within 30 days from the date of appeal with the outcome. The appeals form and further instructions can be found here. Q: What happens if I have multiple false alarms in one year? A: Each false alarm is charged a separate fee, and payment is due within 30 days of the false alarm letter. The police department will cease responding to alarm calls at a property after eight (8) false alarm calls within a 12 month period; with the exception of duress, holdup, robbery, and panic alarms. Q: I have additional questions about false alarms, who do I contact? A: Any additional questions can be e-mailed to alarm@maricopa-az.gov. Your e-mail will be returned within two – three business days. 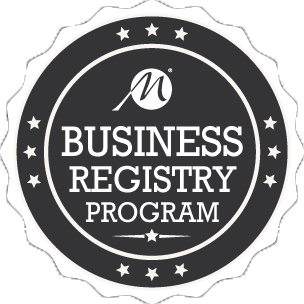 A core group of Maricopa businesses has signed up for the city’s new Business Registry, eliminating the old business licensing process. 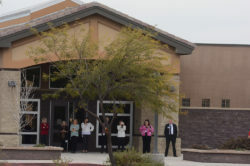 These businesses signed up from Dec. 16 to Jan. 15 at Maricopa-az.gov/web/Business-Registry. 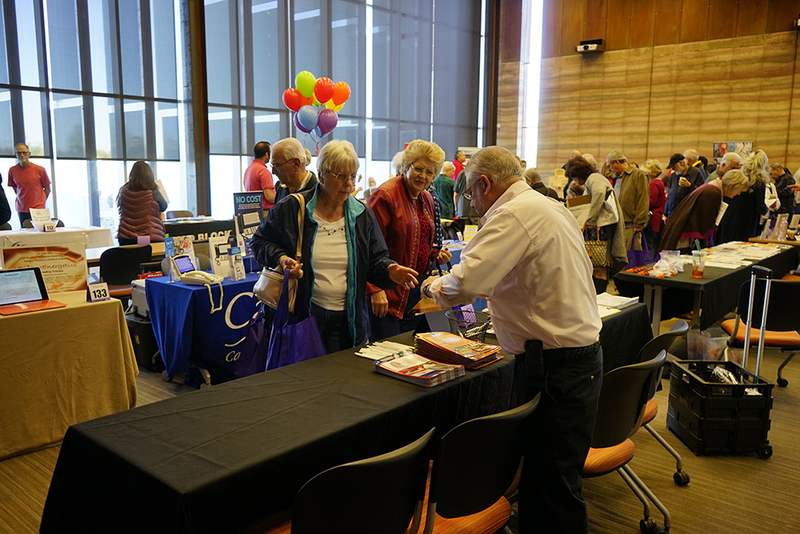 The fourth annual Senior Expo set an attendance record Saturday as 350 people participated. Counting vendors and volunteers, about 475 people participated in the community event. The Expo offered classes, free blood pressure and hearing tests as well as two rooms full of vendors at Central Arizona College in Maricopa. Saturday morning started with a free Danish or a muffin and a cup of coffee to all attendees then it was off to visit the many vendors booth for advice and free items ranging from candy, first aid kits, cell phone powered cooling fans, hot /cold packs to even fidget spinners. Classes began at 10:30 and lasted throughout the day and free pizza was served at noon. 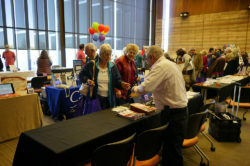 Peg Chapados, event coordinator of the Senior Expo, has organized all four years of the event. She was a member of city council for six years before retiring in December. She was also vice mayor when leaving city council. 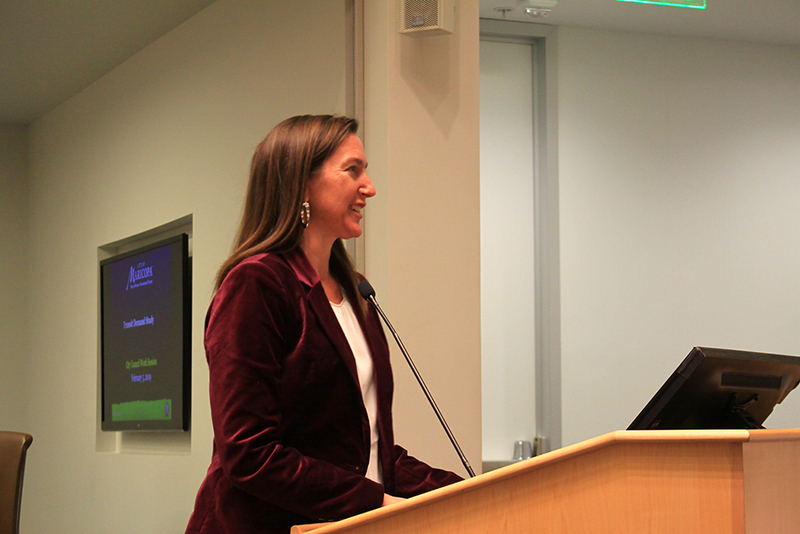 Chapados said she approached the city’s Age-Friendly Committee with the idea, and it took off. 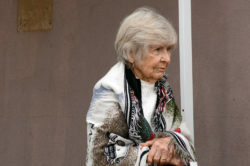 Chapados said the city’s estimates between 4,500 and 6,000 of the 52,000 residents of the city are seniors. 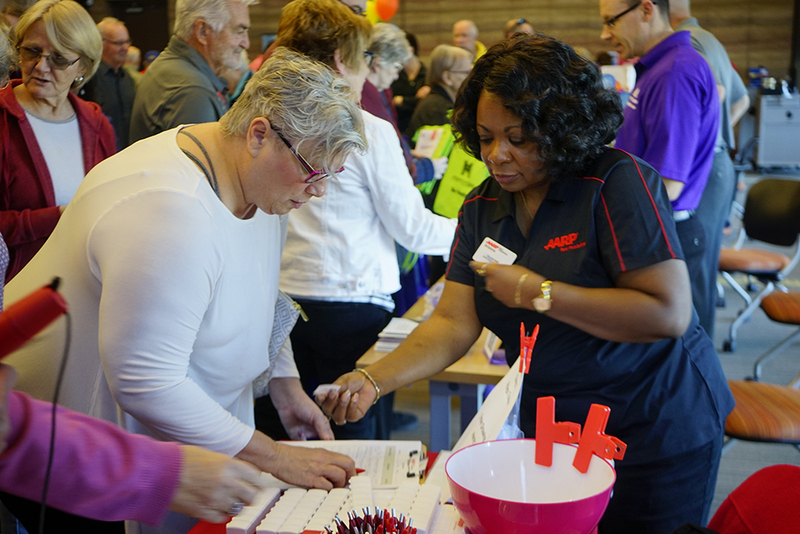 “We are starting to see an increase in our winter visitor population too and a lot of them are seniors,” she said. 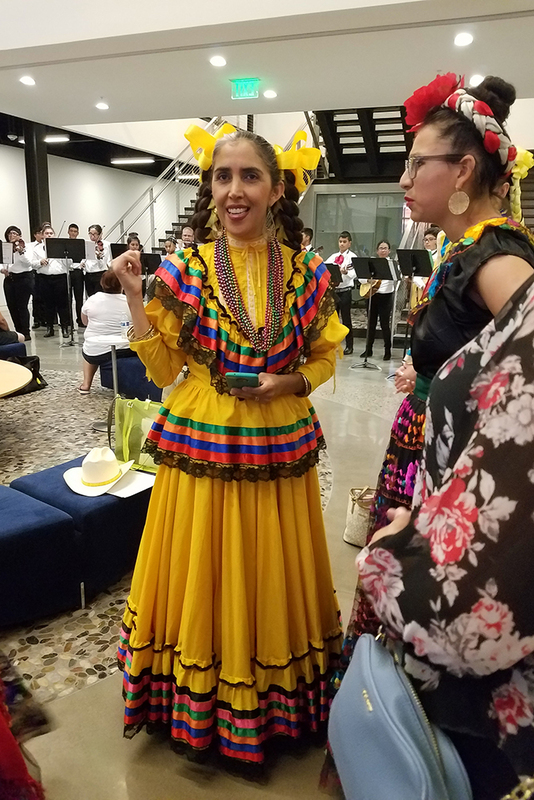 Chapados added that the brisk number of seniors attending the event was completely anticipated.She said about 200 people pre-registered online before the event. She said Central Arizona College was generous to allow the event to take place on its campus as the Expo has outgrown City Hall where it has previously taken place. “We have some great sponsors that bring this thing together,” she said. 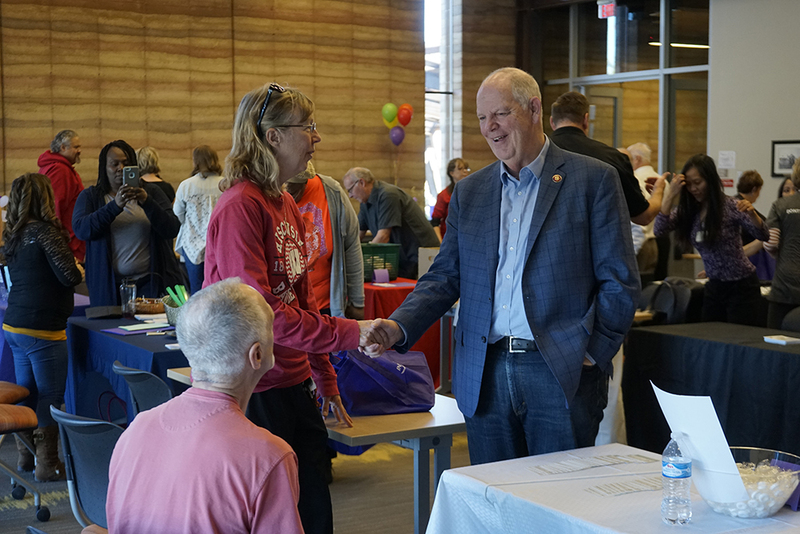 Toward the end of the day, Congressman Tom O’Halleran (D-District 1) made an appearance at the event. He stopped to chat with vendors and attendees and allowed photographs to be taken with him. Ever see a Zephyr fly? Thursday, one actually did in Maricopa. 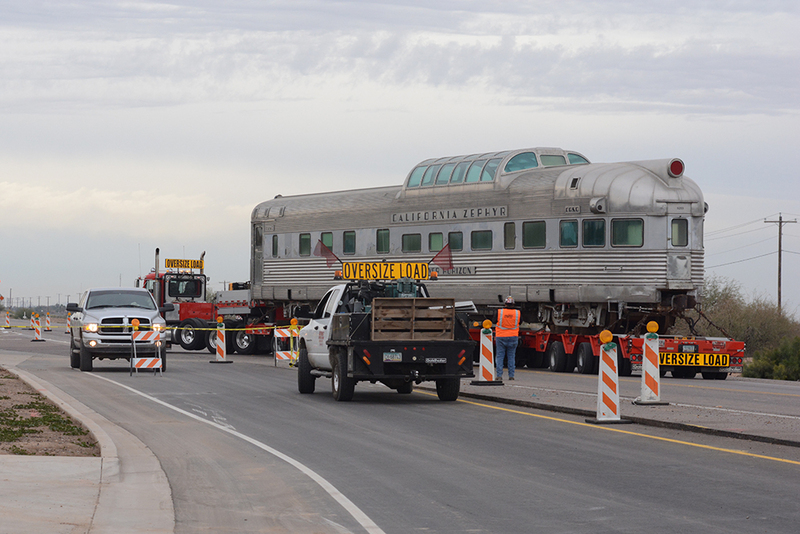 Maricopa’s vintage California Zephyr streamline passenger car was moved down Casa Grande-Maricopa Highway to make room for the new State Route 347 overpass in the center of the city. 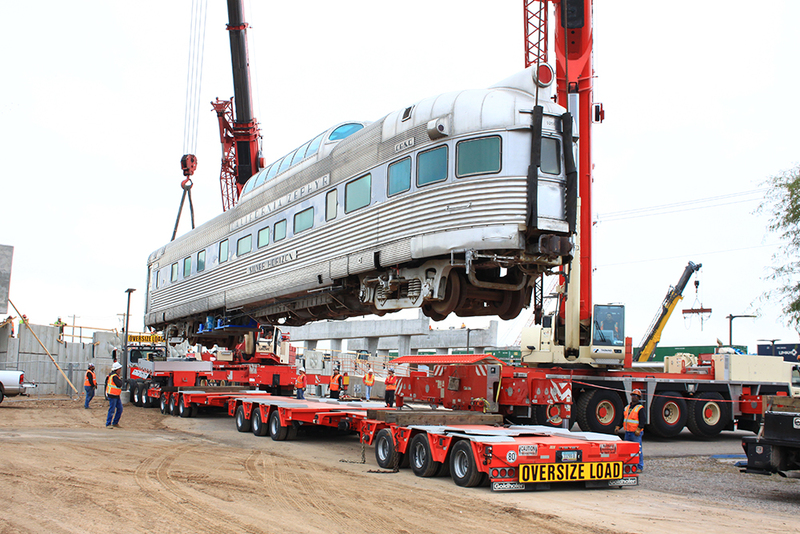 Shortly after 10 a.m., two large cranes carefully picked up the Zephyr and gently placed it onto a large semitrailer. 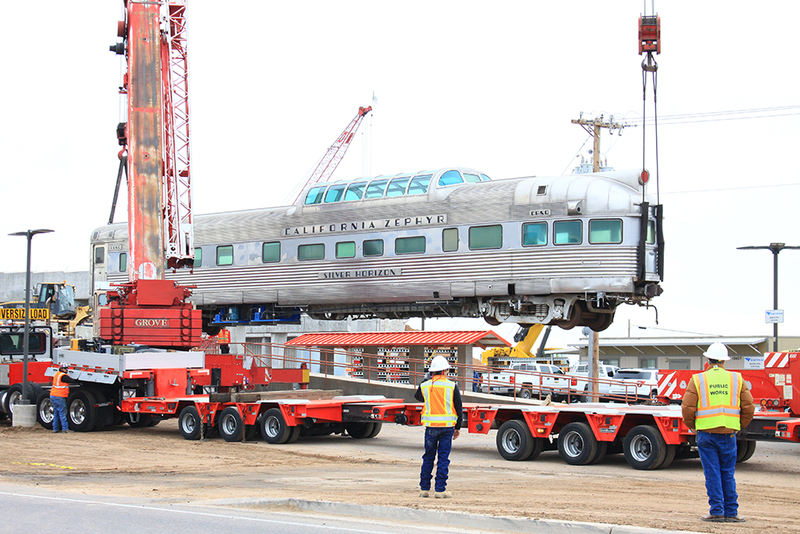 It was chained down and driven about three blocks down the highway. Again, the cranes picked it up and placed it on its new rails, beside the former Rotary swimming pool. 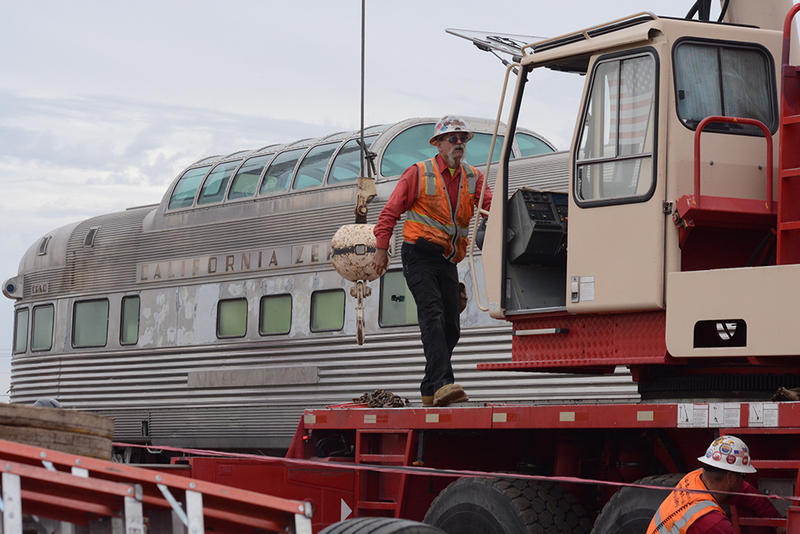 The Maricopa Historical Society purchased the Zephyr from Pinal County for the sum of $1. 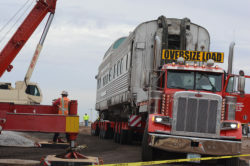 “They were interested in cooperating with us, the City and ADOT, so that this could be put here and be a community centerpiece going forward,” said Paul Shirk, president of the Society. Funds for moving the Zephyr came from county funds garnered through the Arizona Department of Transportation’s purchase of the property where the railcar previously sat. 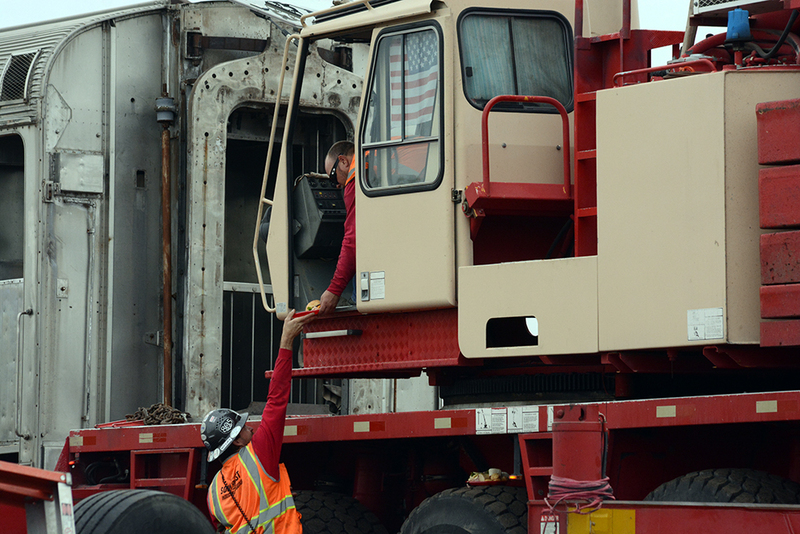 Moving a large train car might be a stressful operation, but Shirk disagreed. 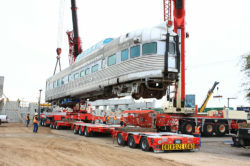 Shirk, who was a little teary-eyed when the car was lifted off its rails, said he arrived for the move at 5 a.m. and city personnel had everything organized and in place for the 10 a.m. move under Mike Riggs’ leadership. “Everything just went according to plan. It just clicked,” Shirk said. 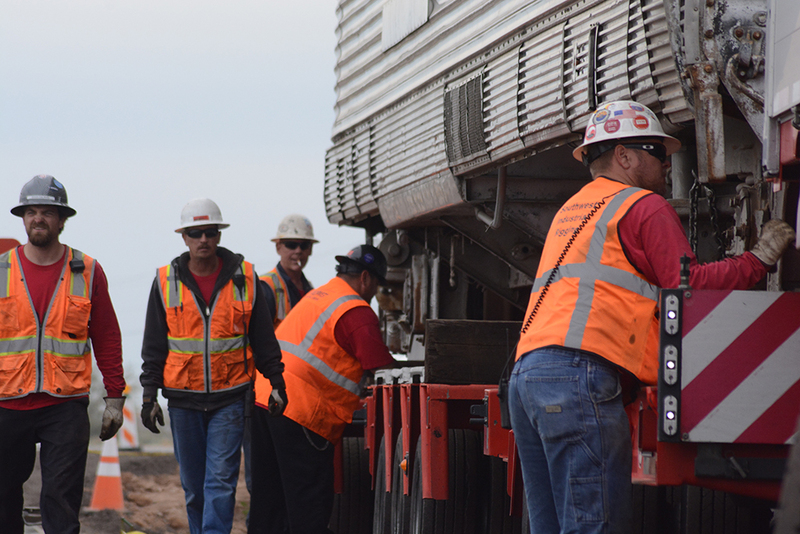 Riggs, assistant director of public works for Maricopa, has been putting together the Zephyr’s move over the past 30 days. He said the entire move went without a problem. Friday and Saturday night, the highway will be closed in that section from 9 p.m. to 6 a.m. for the installation of the bridge girders. Mayor Christian Price said watching the Zephyr fly was truly an event. 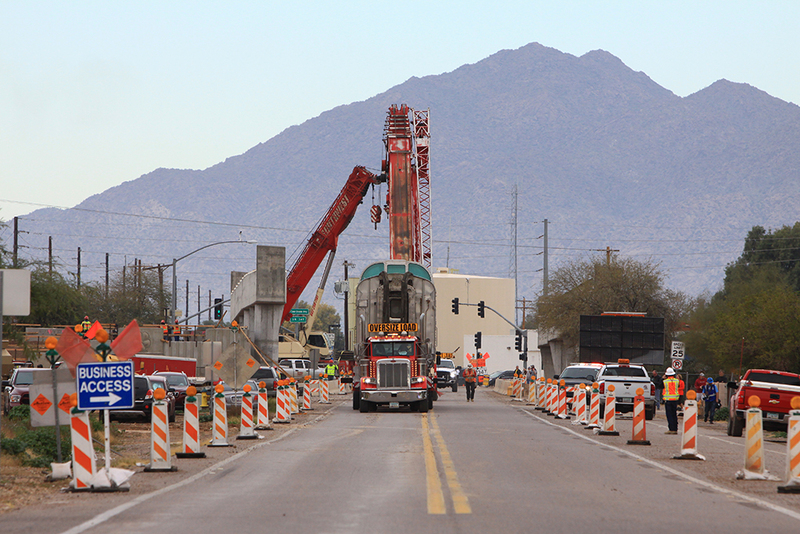 Price said Maricopa has great things ahead as the overpass takes shape to ease transportation. “We have been working so hard for the past decade on trying to get through the recession and put things in place that will allow for quality of life. Now we are entering the next phase. 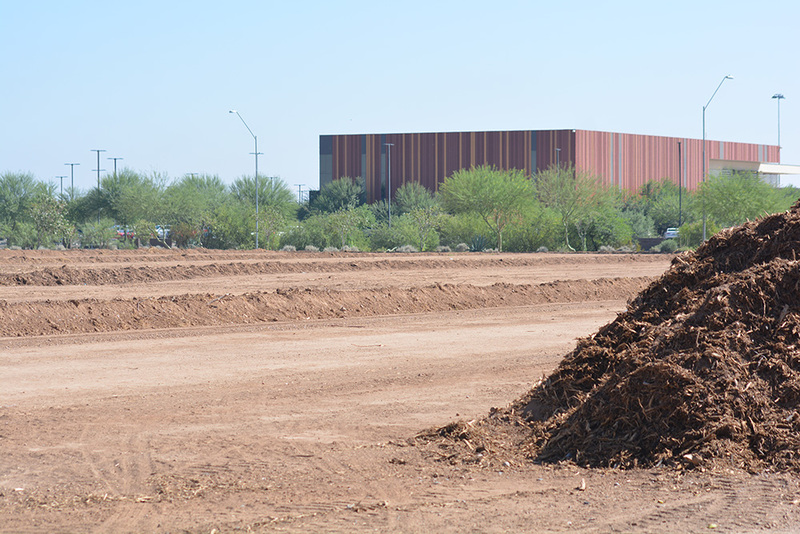 That next phase is the explosion of Maricopa, from the standpoint of businesses, commercial and retail. That is what we are working towards,” Price said. 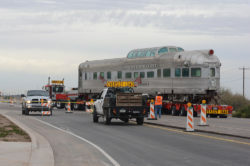 In its new home, near Maricopa Veterans Center, the Zephyr will “be a mainstay that represents Maricopa is welcoming to the community and to people who are visiting. 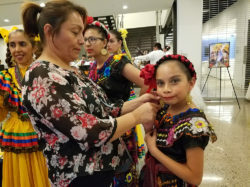 We are going to welcome newcomers in and we’re going to make sure that we have a lot of good events for the people who live here,” Shirk said. 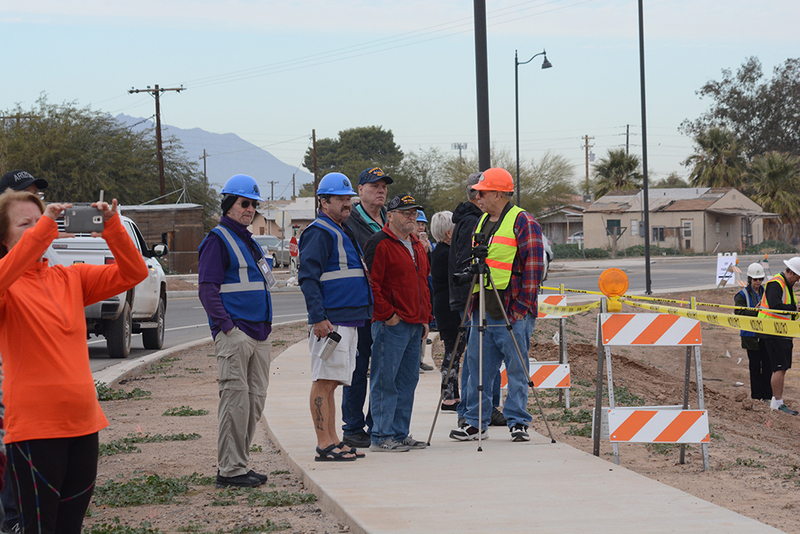 Mike Kemery of Maricopa’s VFW post was among veterans who turned out to watch the railcar move next door. 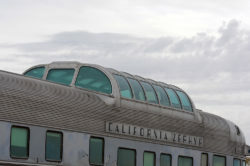 He said the historical society was making its future parking around the Zephyr available to veterans for special events. 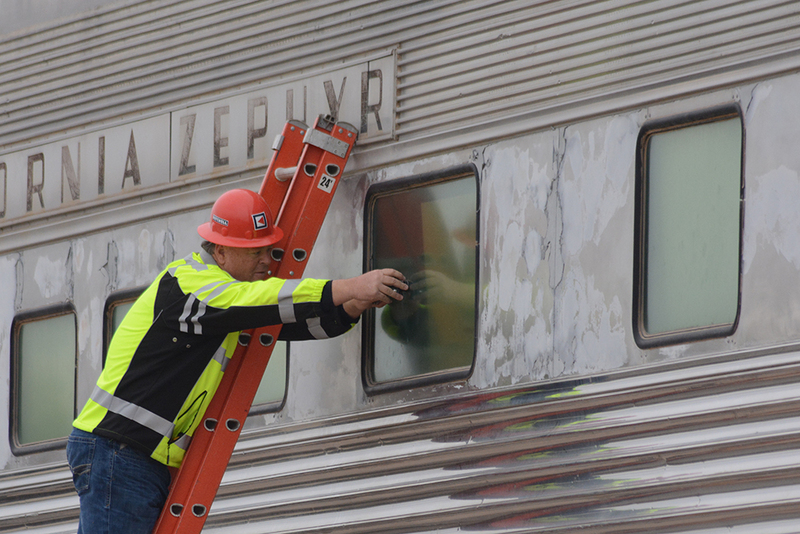 Rick Horst, Maricopa city manager, said moving the Zephyr in a safe and organized fashion represents the entire community’s structure. The 2019 Legislative session begins on Jan. 14, and our newly elected legislators will join their incumbent colleagues to begin the hard and critically important work of representing their constituents in the Arizona House and Senate. And the League of Arizona Cities and Towns is ready to help. The League exists to promote local self-government and municipal independence and this mission has never been more important in the State of Arizona than it is today. 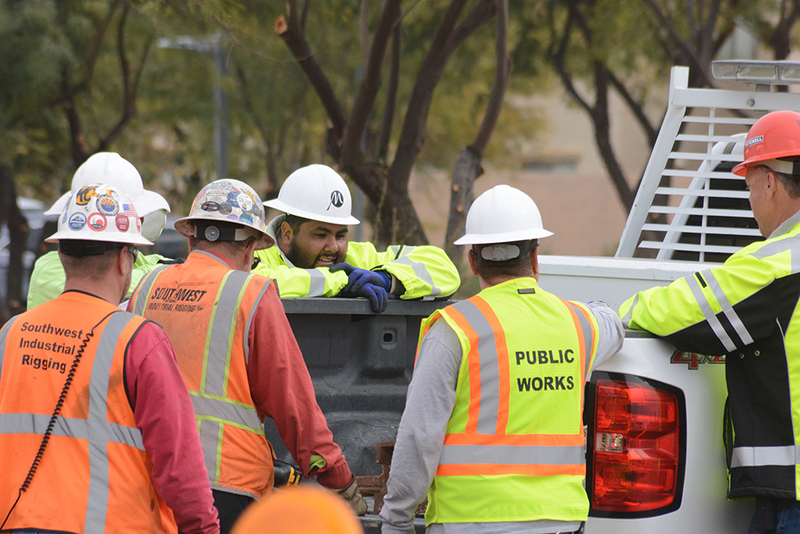 Our primary focus is to represent the interests of cities and towns before the Arizona Legislature, and to strengthen the quality of life and common good of all citizens of Arizona municipalities. We do this through advocacy of legislative and administrative policy that help to make our municipalities more efficient and responsive to our citizens’ needs, and also through review of any policy proposals that could be counter to these goals. When appropriate we seek effective compromise. Whether elected at the local or state level, we all are bound by our common desire and duty to do what is right for all Arizonans, and it is this shared value that should bring us together to work for the benefit of every citizen that we collectively represent. As president of the Arizona League, I join with our 25-member Executive Committee and all member cities and towns across our state, to work with our colleagues at the state legislature to find common ground in good policy-making and to ensure that the best interests of our cities and towns are represented. Together, we can continue to build an even better Arizona – a state that we all love and revere. Christian Price is the president of League of Arizona Cities and Towns and the mayor of Maricopa. 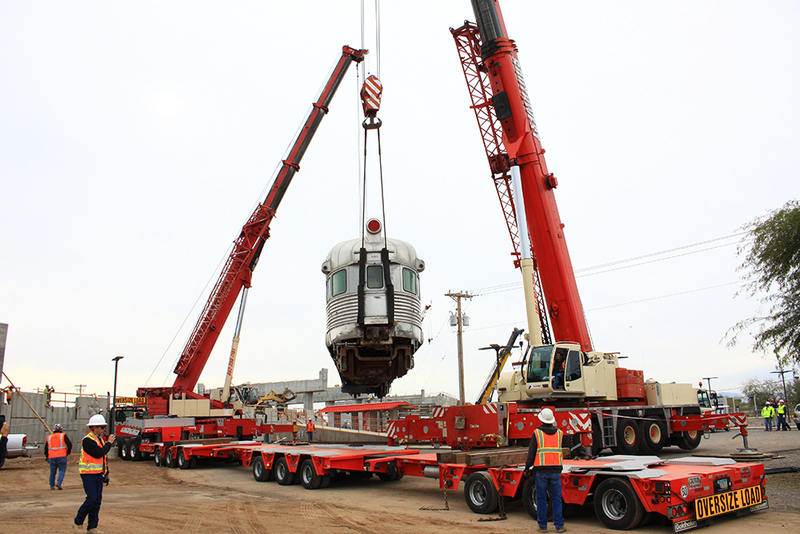 Sacate Pellet Mills Inc. is relocating its main pellet processing plant to Maricopa. Sacate, now located in Laveen in southwest Phoenix, has been forced to move due to major road construction, the 202-connection project. 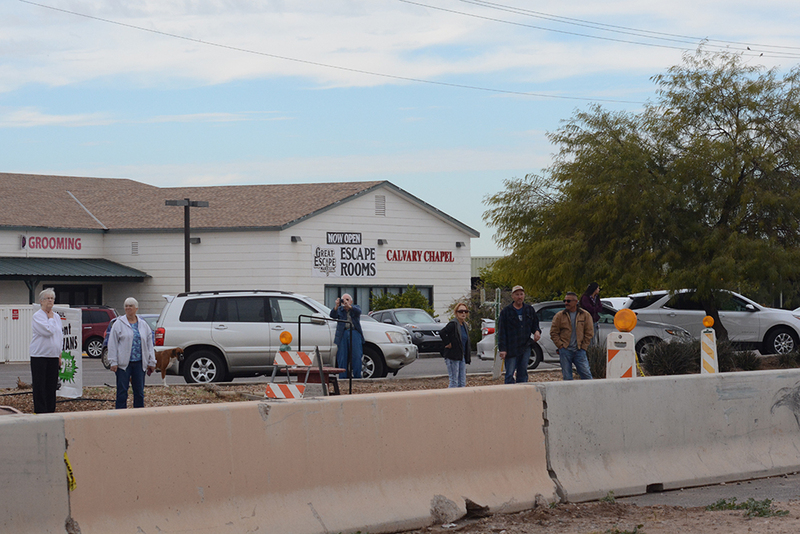 The main problem in Laveen, where Sacate employs 75 people, is encroaching housing and traffic congestion. 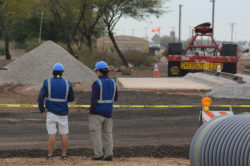 The new Maricopa facility, which is being built in phases, will employ about eight workers at the completion of phase 1 but is expected to eventually grow to exceed 75 employees, according to a Project Narrative presented to the Maricopa City Council that was written by Olsson and Associates of St. Louis, Missouri. 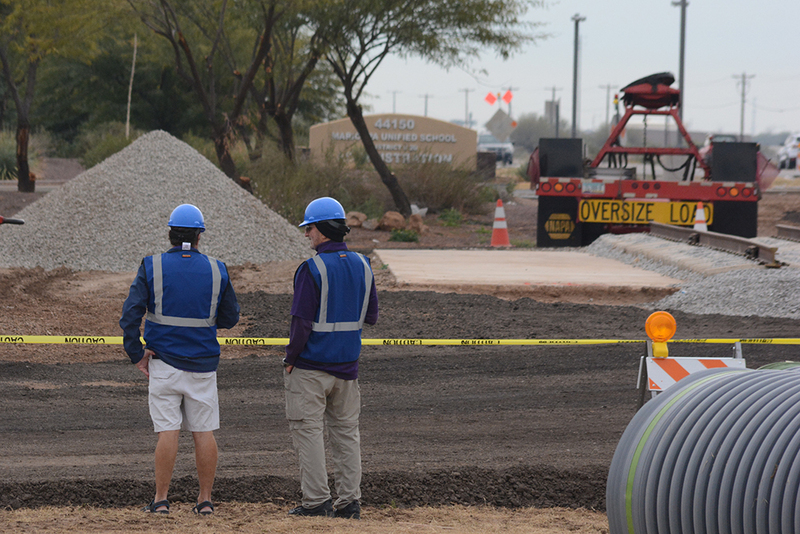 David Stueve, general manager of Sacate, said the new mill project in Maricopa should be completed by June. The new facility will be used to process a standard 4-by-4-by-8-foot hay bale, which will produce 3/8-inch diameter by 1.5-inch pellets. The hay pellets will be wholesaled to multiple local businesses and retailers. The plant, located on about 50 acres southeast of Maricopa, near the intersection of Cowtown Road and White and Parker Road, is expected to operate 24 hours per day, according to the Olsson report. The proposed location will house a feed pellet milling operation and office. Sacate is highly respected for producing some of the best quality livestock pellets in the Agriculture industry. The company first produced pellets in 1985. The City of Maricopa has ballooned from a tiny town into a the 18th largest city in Arizona in less than 20 years. 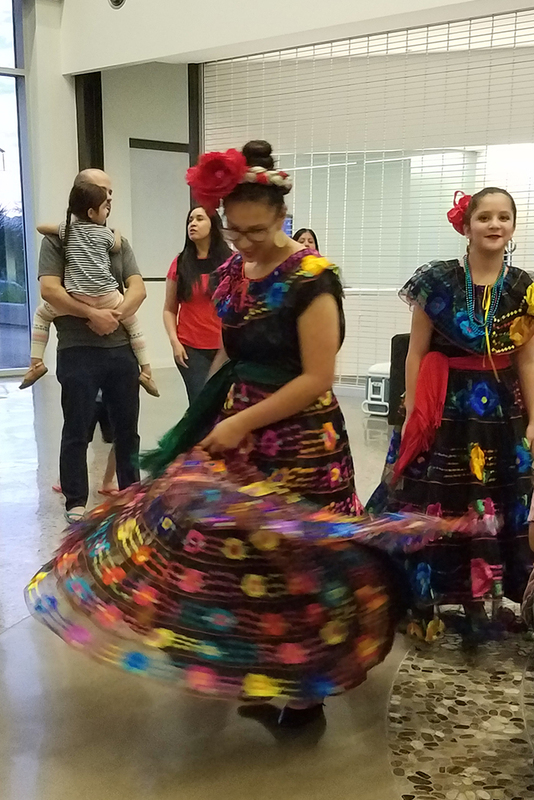 In 2018, estimates approved by the U.S. Census Bureau and Arizona State Demographer’s Office put Maricopa’s population at 51,977, pushing the city over the 50,000-mark for the first time. In 2016, the City paid more than $700,000 for a special census in hopes of proving its population had reached the 50,000 mark, but that census officially found only 46,903. Still, that was a 2,873 percent increase over the 2000 Census, according to a city website. Maricopa was incorporated as the 88th city in Arizona on Oct. 15, 2003. Official census records indicate just 1,040 residents lived in the area in 2000. 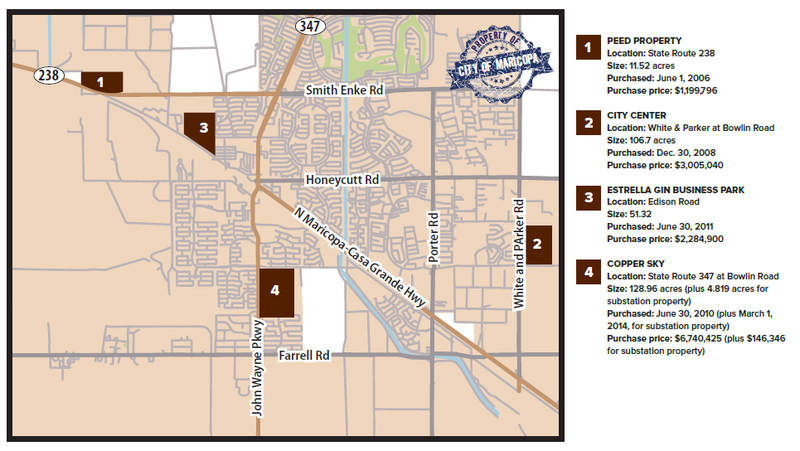 The City of Maricopa is approximately 43 square miles with a planning area of 233 square miles. The average household income in Maricopa is $75,000, among the highest in the state of Arizona. Approximately 88 percent of adult residents have some post-high school education and 47 percent hold a bachelor’s degree or graduate degree. Maricopa is the second most populous incorporated city in Pinal County, behind Casa Grande estimated to be 55,477, and Maricopa is the 18th most populous city in Arizona. 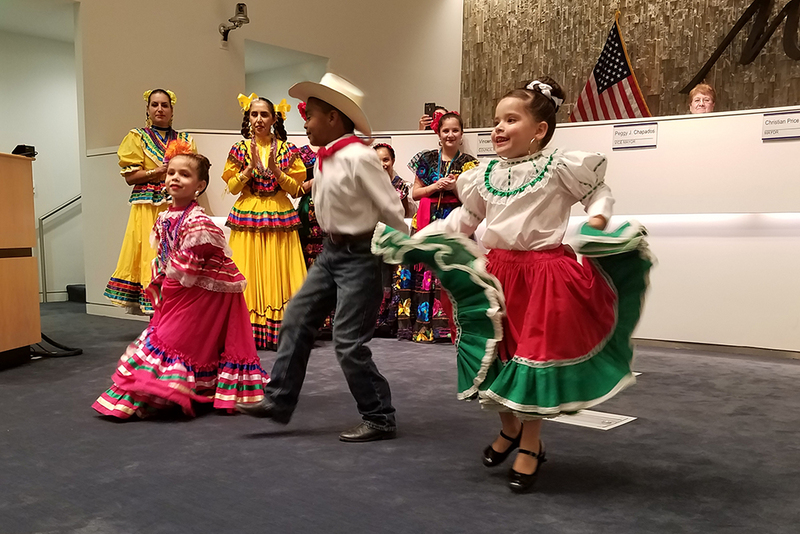 In his annual State of the City presentation, Mayor Christian Price offered a bold but attainable vision of the future grounded in the past. 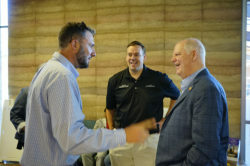 He touched on subjects important to Maricopa residents, such as transportation, growing the economy and continuing to improve the efficiency of local government. “I believe the very best way to predict the future is simply to create it,” Price said, establishing early one of his central themes for the evening: the importance of a bold vision for Maricopa’s future. 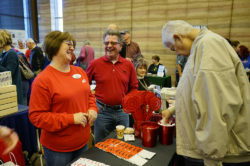 Before the event, anticipation ran high, with a number of attendees curious about what fun plans Price had up his sleeve. 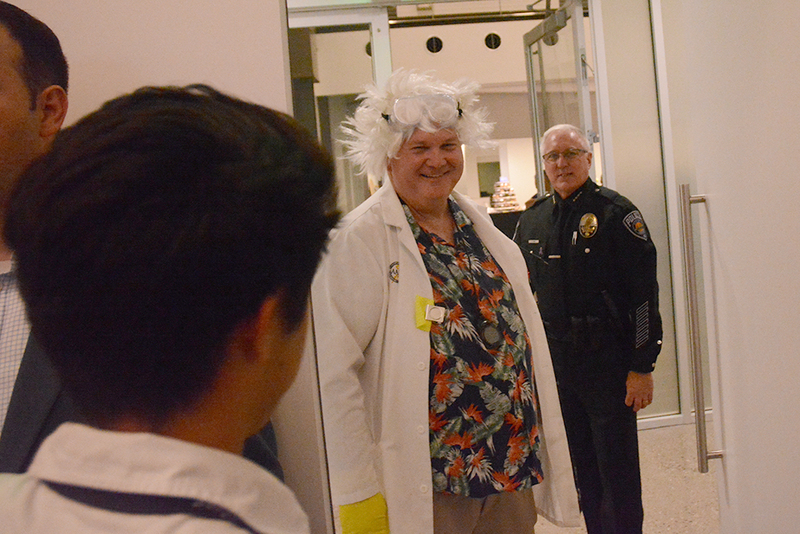 His State of the City presentations have become known for his innovative and fun introductions. Last year the mayor zip-lined in, while the year before he made a video of himself in an indoor skydiving facility to make it appear as if he parachuted in. The State of the City is funded by sponsorships. 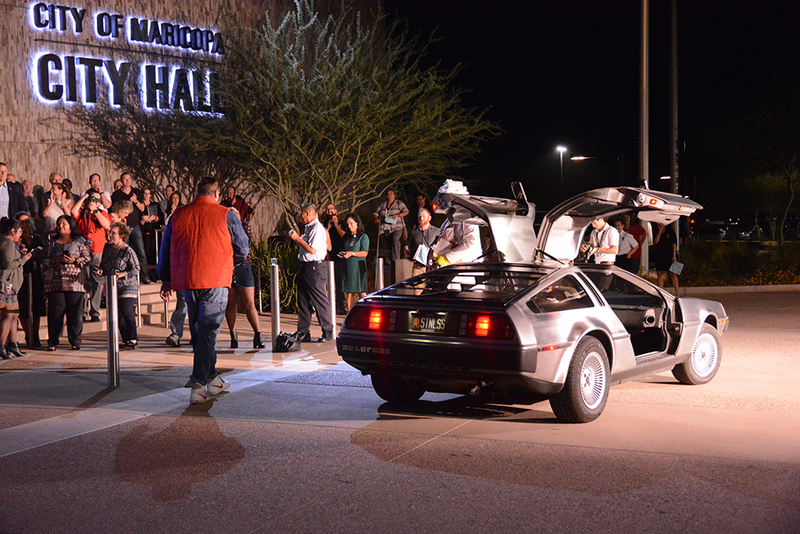 Hollace Lyon, Democratic candidate for the state senate seat for District One, had a suspicion that the mayor’s entrance might involve a DeLorean. “I’m excited to see if he can fit in one, because he’s a pretty tall guy,” said Lyon, who hoped to find out more information about the progress of the overpass project in particular and economic development more broadly. 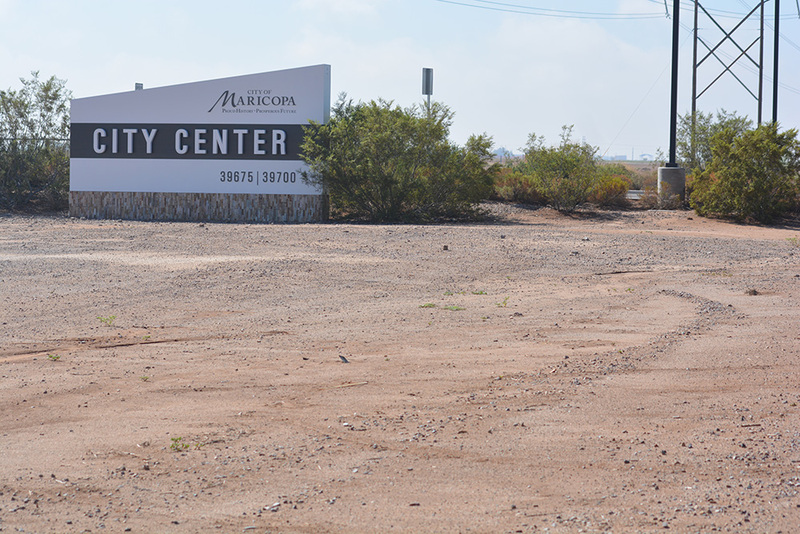 “Developers could foresee that the future success of Maricopa was intrinsically tied to the ability to make 347 work properly,” Price said. 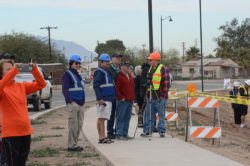 Price described how a coalition of local residents, land developers, tribal and state officials came together to support the construction of SR 347. 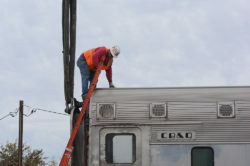 He noted the project was funded by residents of the then-unincorporated area through what was called a “special transportation district.” It passed in a high-turnout election by just 21 votes. Price related this to Propositions 416 and 417, which put a regional transportation plan and half-cent sales tax to finance it before voters last year. 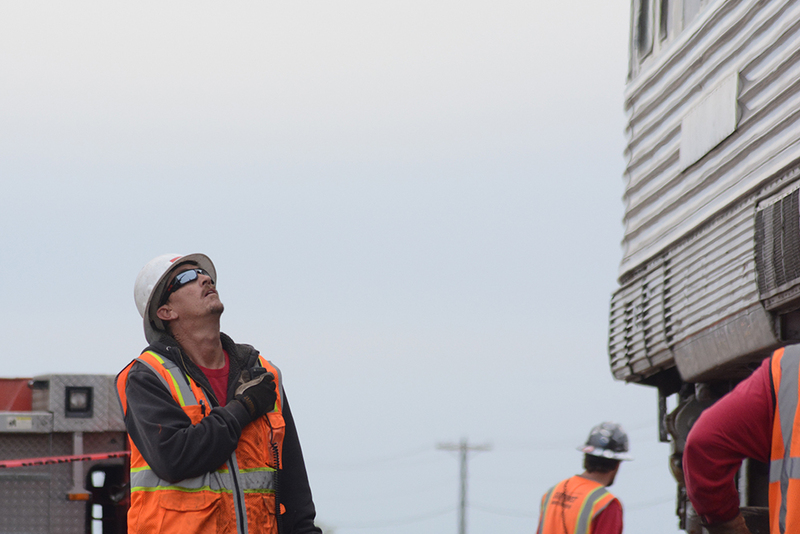 Prop 417 also passed by a narrow margin, 51 percent to 49, though its implementation has been held up by a lawsuit. 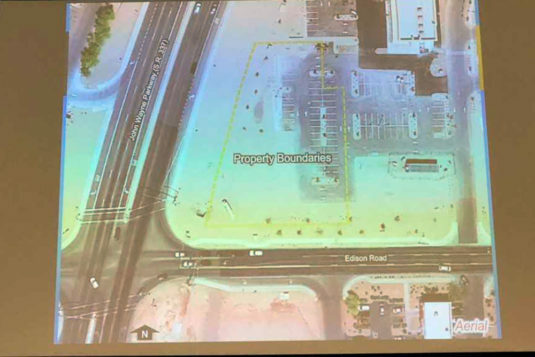 He said the roughly $100 million the plan is projected to raise was necessary for increasing entry and exit routes into Maricopa, in addition to other measures to decrease traffic and accidents. “Twenty-eight years after the first major road improvement, the people of Pinal County and the City of Maricopa courageously and emphatically stated, through their slim but majority vote, that, yes, we want and we downright need a solution to this dangerous road and the gridlock it often extends to our families,” Price said. Price discussed how partnerships were not only vital to Maricopa’s past, but also its future. 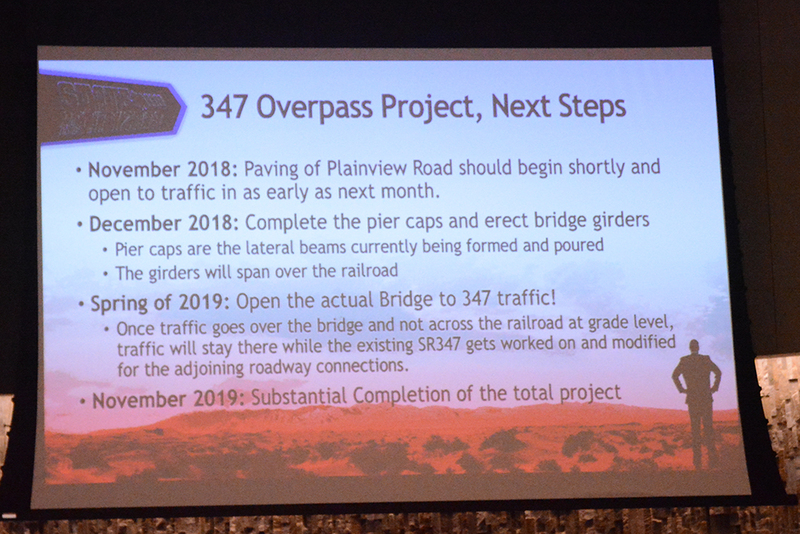 Current projections for completion of the overpass project, as presented in the State of the City. On the business side, Price stressed the importance of cultivating relationships with a range of private and public entities. 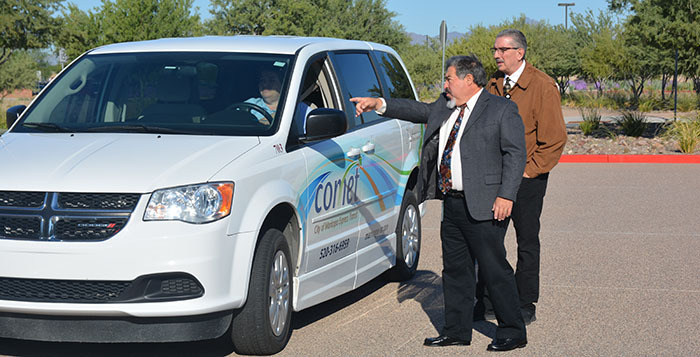 He described how these relationships helped Maricopa secure grant funding and gain support for important projects from county, state and federal government bodies. 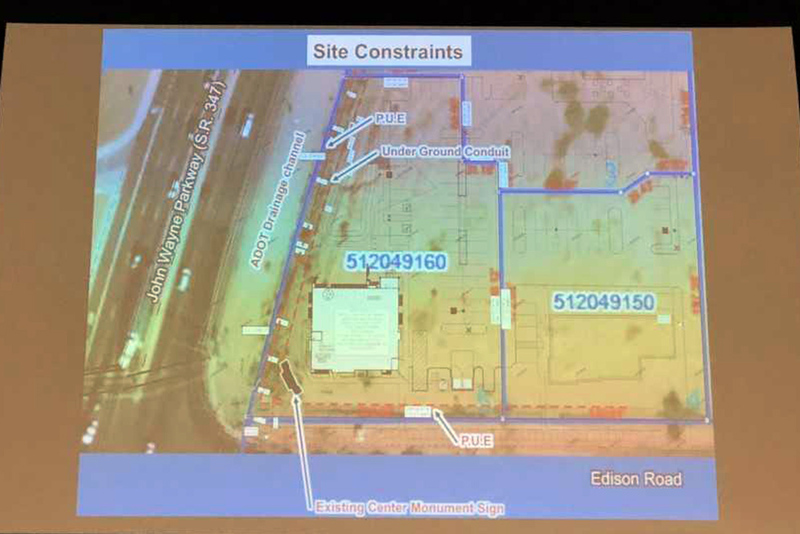 He laid out proposed plans for the Copper Sky site, including Maricopa’s first hotel since incorporation and a number of mixed-use spaces with commercial units on the ground floors and residential ones on the second. 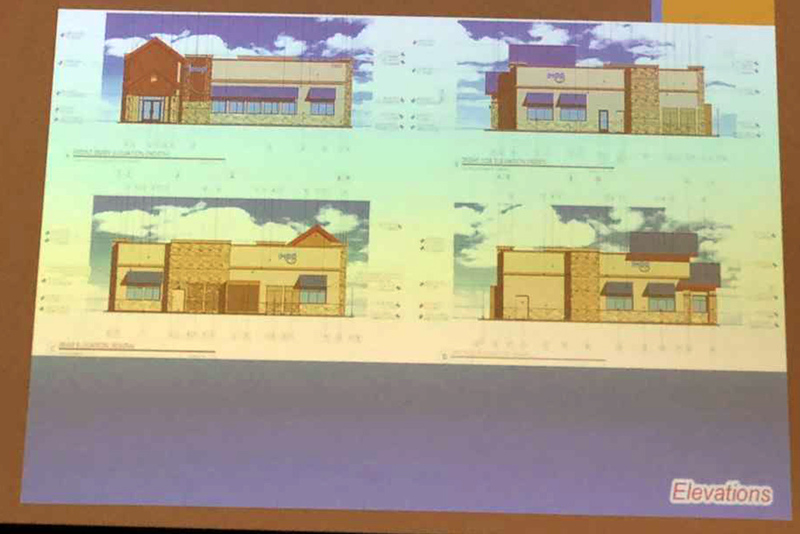 Price also announced the city was changing from a business licensing process to a business registry, and that form is now only a page long and can be completed online. The fee was reduced from $50 to $10, with veteran-owned businesses and nonprofits paying nothing to register. Reactions to the speech seemed positive, with the mayor having touched on the topics the crowd had indicated they were interested in. He also highlighted some of the exciting tech companies working throughout the region, such as the electric car company Lucid Motors and Nikola Motor Co., which makes electric-hydrogen-fueled trucks. Grants received special mention a number of times, with Price highlighting the benefits received in terms of school safety, first-responders and other essential city functions. He also lauded the job done by Horst, who he likened to the city’s Doc Brown and who was appointed as city manager in June. In fact, Price quoted Doc Brown in his closing remarks. During his first 100 days as Maricopa’s city manager, Rick Horst has worked to make City Hall more results-oriented and streamlined. 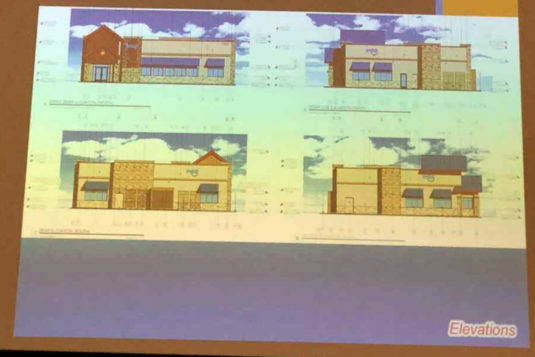 There have already been changes, including a new department. Horst sat down with InMaricopa to talk about the first three months of his three-year contract. InMaricopa: So, you’re still in the honeymoon phase. Horst: I tell people it’s three months going on three years. As the old saying goes, drinking out of a firehose. But that’s what I enjoy. It’s been fun. It’s been educational. We’ve been able to set some things in motion. We have a lot of things on our list yet to set into motion. It’s why I’m here; it’s why I wanted to be here. 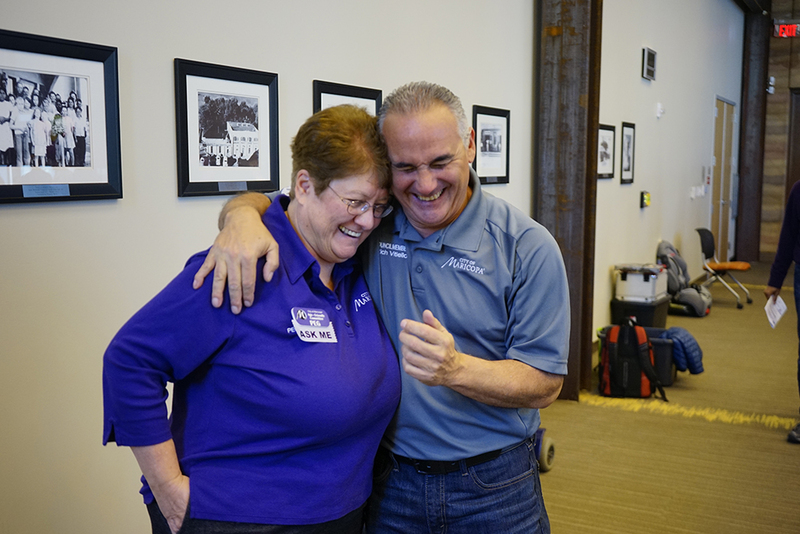 InMaricopa: As a leader, what kind of imprinting did you want to have on your employees? Horst: I’ve never been one for silos. I think we’re all one team. I kind of use the football analogy that, yes, a football team has offense and defense and special teams, but they all wear the same uniform, and at the end of the day they have the same goal. That’s to win. I find sometimes that we need to make sure that our main objective is to meet the goals that we’ve made. I’ve always felt that government is really good at process, but we should be good at results. I really want our employees to feel empowered to make decisions at the lowest level possible. I want us to streamline. I want us to make things more simple. I want us to spend time in achieving goals, not figuring out the process of how to get there. InMaricopa: How did you go about learning the institutional culture? Horst: Well, you learn pretty quickly, right? I’ve invested myself in a lot of the meetings. I don’t believe in micromanaging, but at the same time, what I knew I had to invest myself in the system to learn what is going on and what they’re trying to do, what processes they have. I think sometimes we work so hard to create the momentum, the process, the program, and we work so hard we don’t want to let it go. We do things right, but we don’t always do the right thing. 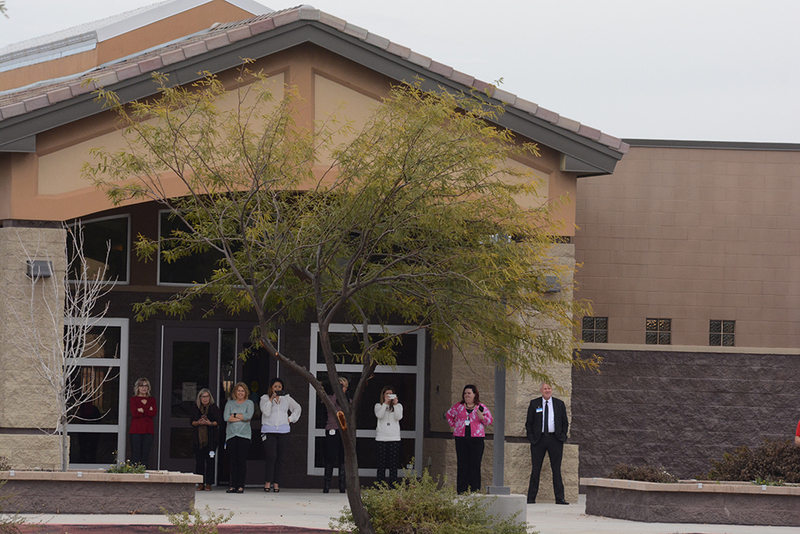 InMaricopa: What are some key areas you’re focusing on? Horst: We’re hoping to deregulate, not only internally but externally, to make it easier for those whom we’re here to serve. We’re hoping to streamline our processes. I use the term, sometimes we spend a dollar to save a nickel, and I want to be careful that we don’t do that. There’s two structures within government – there’s the structure that supports the services we provide, IT, Finance, HR. The other is there to serve the customer, which is the people who provide the operations and services of the City, which is Public Safety, Parks and Recreation, Streets, etc. Our job is to make sure we can internally support those purposes by streamlining how quick they can get personnel hired, how quick they can get resources, materials, the things they need to do their job, and to make sure we don’t get bogged down in process so we can kick out the product at the end of the day. 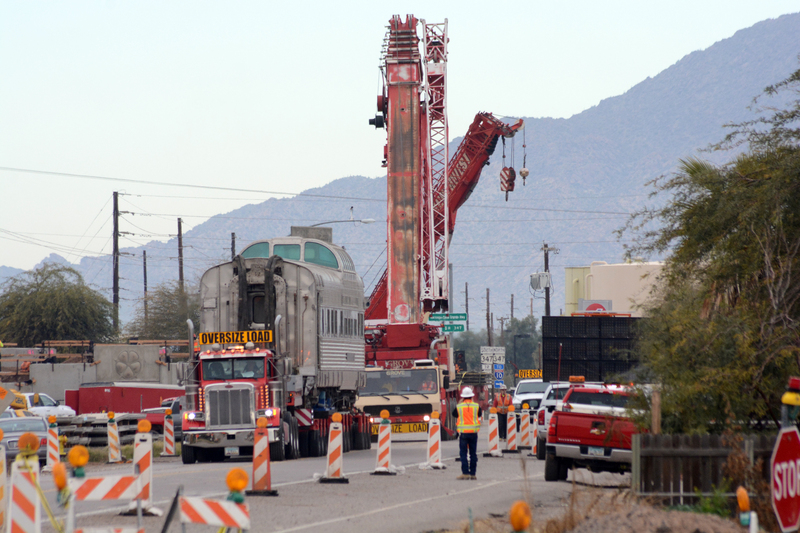 InMaricopa: So, the process is something governments get bogged down in? Horst: I think we do… The real mission, from my perspective, of the city besides public safety, which is foremost, is to create an environment where the community can be successful. Whether that is a single parent raising their children, whether that’s a nonprofit, or whether that’s a small business or a big business or a school, or whatever those things are, to allow them to be successful. We don’t have to control everything. We just have to control those things that are the core mission of the City. A lot of cities like to get into ventures that the private sector can supply. We want the community to not be without, so we want to create the opportunity to get the private sector to fill in some of those gaps rather than try to fill them ourselves. InMaricopa: What are some of the clear-cut strategies you’ve given your team? InMaricopa: What did you consider City Hall’s strengths when you took the job? Horst: We have great people. 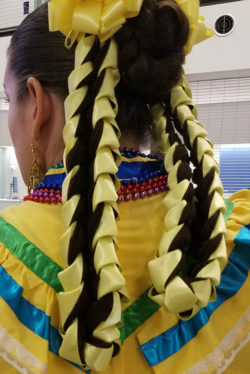 We have talented people. Most of them are not here for a paycheck; they really want to make a difference. And they really work hard to make a difference. They go the extra mile. And I consider them public servants, not employees. Most people won’t ever understand all the things they do to benefit the community. A lot of them do things in their spare time after hours. They participate in other community events, charities, programs, all because they care about this community. They are well invested both personally and professionally. InMaricopa: Where did you find City Hall lacking? Horst: If we do something in 15 steps, we could probably do it in 10. Or if it’s in 10, we can do it in five. We’re looking at our processes and we’re saying, “Did it outlive its usefulness? Is there a way to do it better? Are we still doing it because we worked so hard to put it in place?” Sometimes you’ve got to give it up and move onto something new. The city’s changing every day. InMaricopa: In your short time here, are there areas you’ve already shifted the City? 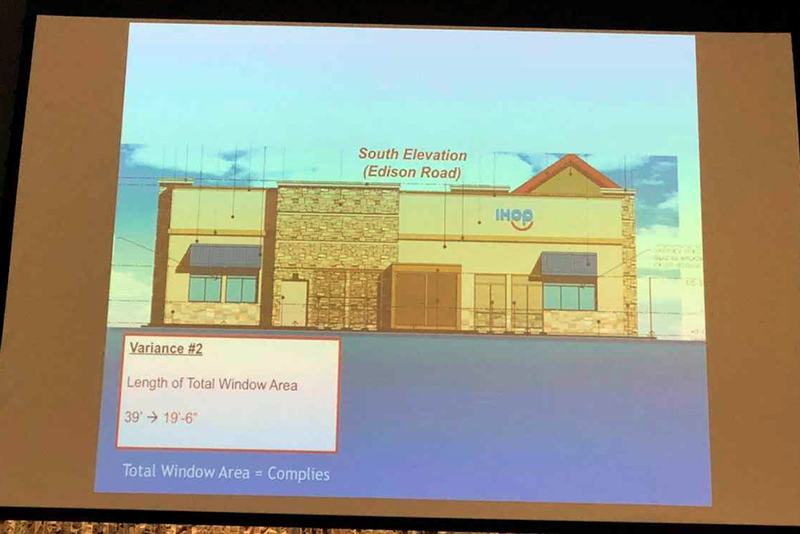 Horst: We had a centralized purchasing program, and we’re going to decentralize that, and we’re going to be presenting that to the City Council. What that will do is eliminate the bureaucratic process. 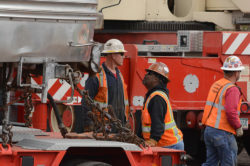 As an example, if the Street Department needs to order a particular asphalt material to pave roads, that goes up to a Purchasing Department that then prepares the specs and bids. They’re not the experts on that, and it adds another layer. So, if we could have the ability to have these department reach out and do this on their own because it’s their area of expertise – and by the way, department heads are charged with the protection of their budgets – it’s putting the authority and ability to do it back into the departments rather than at centralized purchasing. That will save both time and money. That’s not to say it was broken; it’s a good, better, best thing. We can do better. 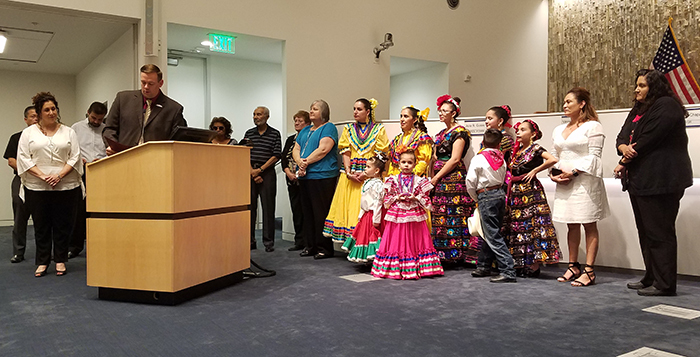 The City of Maricopa marked Hispanic Heritage Month with a ceremony and proclamation, joined by mariachi from Eloy High School and Cuacualti Dance Group at City Hall Tuesday night. The event, presented by the Cultural Affairs Advisory Committee, kicked off a month of activities that include Grammy-winner Ramon Ayala in concert at UltraStar Multi-tainment Center on Saturday, a special Story Time at the library Sept. 27, Mexican Bingo (and chips and salsa) during Game Night at Copper Sky Sept. 28, “My Vida Robot” for Movies Under the Stars at UltraStar, a special event on the works of Frida Kahlo at the library Oct. 11, and Kids Bilingual Story Time and the library every Monday and Tuesday in October. 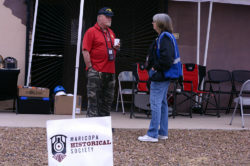 See details on these events at InMaricopa.com/Calendar. Maricopa Mayor Christian Price holds the gavel as league president. 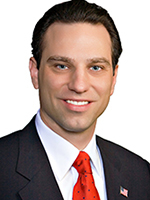 Mayor Christian Price has been named president of the League of Arizona Cities and Towns. 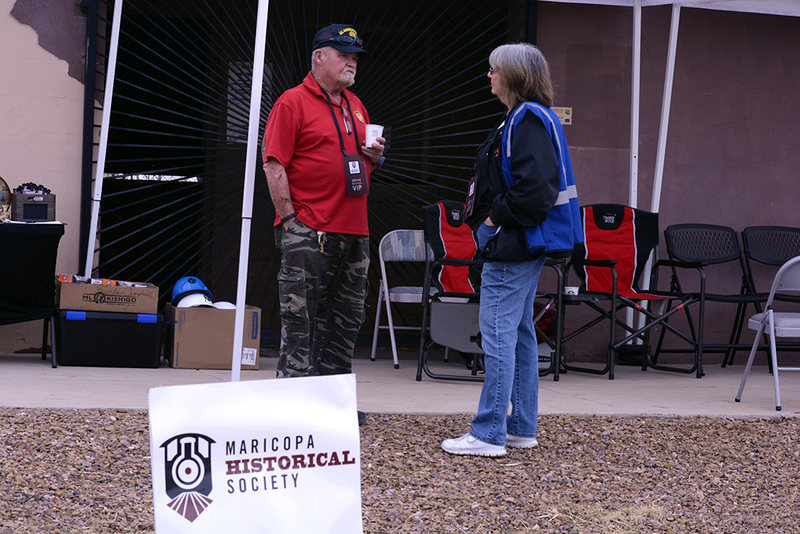 The organization held its annual conference this week in Phoenix. The 25-member executive committee represents the interests of 91 municipalities. 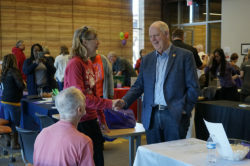 The league offers resources and technical assistance to municipalities and represents the league on issues before the Legislature that could impact local government. Committee officers are elected to two-year terms. Price was the treasurer. 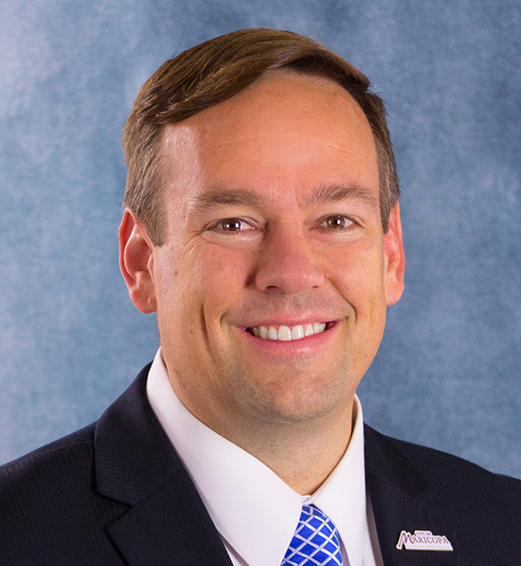 He will replace Chandler Mayor Jay Tibshraeny as president. 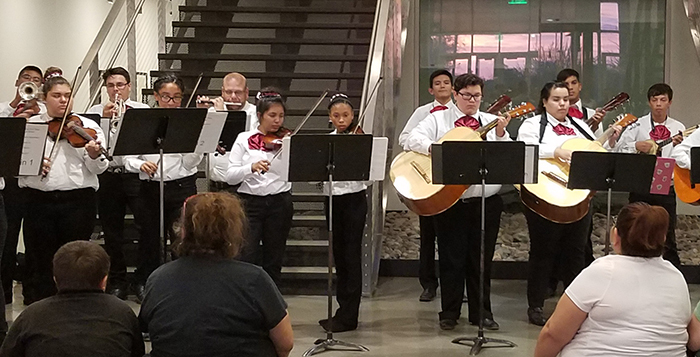 On Aug. 15, a news release was circulated by the City of Maricopa that claimed, “The Arizona Legislature Increased your Taxes,” going on to say, “the Arizona Legislature passed and the Governor signed Senate Bill 1529, which significantly changed school funding in selected districts across the state.” At least the press release got that part right, but a significant element of the truth was conspicuously missing. For decades school districts have received “Desegregation supplemental funding” from both local property taxes (by way of the Primary Property Tax) and from the State General Fund. SB 1529, moved the desegregation supplemental funding from the Primary Property Tax load, to the Secondary Property Tax load, making those school districts who have been collecting Desegregation supplemental funding from the state, accountable for the use of the money to school district residents affected. When the Legislature first began supplementing local school districts with gap-funding it was an arrangement to ease the strain on local budgets caused by the taxpayer approved 1 percent Property Tax Cap, and the arrangement was to be temporary. Over the years, the urgency to solve segregation was replaced with a sense of entitlement continuation, even though the money was intended to end segregation. In the case of MUSD, the only reason the State has funded desegregation is to address Maricopa’s property tax collection, that is over the 1 percent tax cap. Those school districts that are not over the 1 percent Property Tax Cap, and are under an OCR order to desegregate have never received money from the State, (Phoenix Union is an example). This a problem because the Pinal County and City of Maricopa governmental bodies have made it a problem with their spending habits. 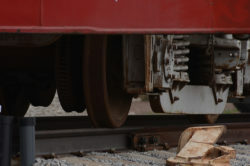 During the 2016 Legislative Session, LD-11 Representatives Vince Leach and Mark Finchem asked about questions generated by the State Auditor General posed to then MUSD School Superintendent Steve Chestnut, “Where is $1,000,000 annually sent to MUSD going; what are you spending it on since after all of these years you have not achieved ‘unitary status’ (desegregation?” His response was short and illustrative of the condition of financial management in many school districts. He simply said, “I don’t know.” In fact, the Superintendent had to check with the Office of Civil Rights to find out how the money was supposed to be spent. If desegregation has not ended, one is left to ask the tough question, why not? Is it a lack of political will? Or is it that desegregation has been achieved, but the school districts want to keep the tap open and taxpayer money flowing without accountability? The News Release [also] claims, “The State Legislature passed a law that instituted a secondary property tax without putting it to a vote of those affected, which we believe is illegal and unconstitutional.” This is not a new tax, it is a tax moved from on funding source to another, putting the responsibility for funding on the community that uses the school system, and not other communities that do not have a segregation compliance problem with the U.S. Department of Justice (DOJ), Office of Civil Rights (OCR). The truth is that with SB 1529, Arizona’s poorer, rural counties are no longer be asked to pay for the inability of allegedly segregated school districts to achieve desegregation, called “unitary status’ by the DOJ, OCR. It is important to emphasize, the money has been set aside for the highly specific purpose of desegregation. And while the News Release claims, “The responsibility for this new tax lies with the State Legislature and the Governor,” the real responsibility lies with the body that spends the money, not with the one that provides the funding. The salient question for the residents of the City of Maricopa to ask is, “Why has MUSD desegregation not been achieved, is it because of a lack of political will to make the changes needed to desegregate?” Could it be that desegregation has already been achieved and the money is now redirected to another use? Or is it just shear incompetence on behalf of those who are supposed to be stewards of the public funds? SB 1529 has corrected an inequity, namely taxation without representation. Arizona City residents don’t want to pay MUSD taxes for desegregation when they have precious few dollars for their own children education. It is indeed curious that the Board of Supervisors should have been told by their staff that not all the Desegregation Districts have a 1-percent cap tax problem, and that no state money flows to them thru the supplement, but only to those districts that are evading the vote of the voters that came from SB 1080, a vote to limit taxation on property to 1 percent. 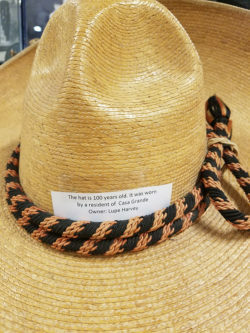 Might it have something to do with the county rate of 3.75 percent (among the highest in the state) and the City of Maricopa at 5 percent (very high if not the highest city rate), leaving only 1.25 percent for CAC and MUSD to fight over? We, of course, know they don’t–so all collectively go over the 1 percent cap-leaving the shortage for the rest of the state taxpayers to make up. And the State gets the blame because local taxing jurisdictions can’t or won’t curtail spending? The time has come for residents of the district to hold their locally elected school board officials, City and even County elected officials accountable for what they are doing with the tax dollars that they have been entrusted with. 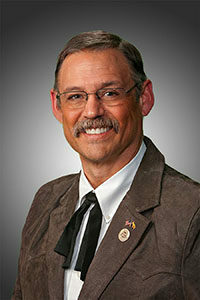 Mark Finchem, a Republican, represents LD 11 in the Arizona House of Representatives. The City of Maricopa issued a statement that lashed out against state lawmakers this week, blaming the Legislature and Gov. Doug Ducey for tax increases expected to show up on the next property tax bill for Maricopa homeowners. 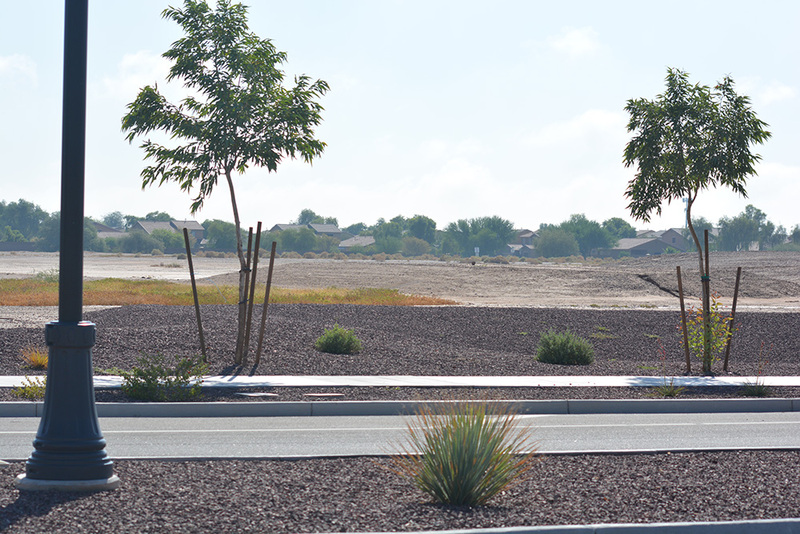 The raise in secondary property taxes in Maricopa will cost approximately $45 per $100,000 of assessed home value, according to a City Hall press release published Aug. 15. The release was published on behalf of the City of Maricopa, Pinal County and Maricopa Unified School District, said City Manager Rick Horst. What does the tax do? 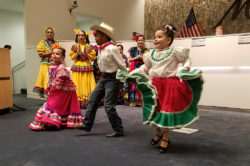 The local tax pays for desegregation funding utilized by MUSD to hire qualified teachers, implement extra support for English Language Learners and other programming. Nearly 20 Arizona school districts receive this money to aid in compliance with an order from the U.S. Department of Education Office for Civil Rights to remediate alleged or proven racial discrimination, according to statute. MUSD has received desegregation funding since approximately the late 1990s, according to one school official. The new law shifts the cost burden, previously assigned to taxpayers statewide, to homeowners who live in school districts that receive desegregation dollars. It’s an issue complicated by Arizona’s complex tax system that mandates a 1 percent property tax cap. The state used to backfill those funds cut off by the cap. Now it’s up to resident homeowners. The city says the shift in responsibility is unlawful because voters didn’t get a say. “The state Legislature passed a law that instituted a secondary property tax without putting it to a vote of those affected, which we believe is illegal and unconstitutional,” the press release stated. Mayor Christian Price deferred comment on the subject to Councilmember Nancy Smith. 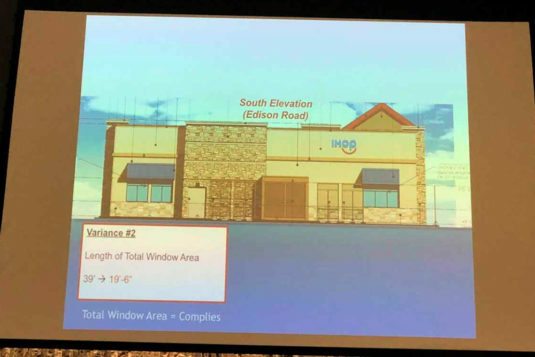 Smith said Pinal County, the City of Maricopa and Arizona school districts, including MUSD, will analyze the possibilities of legal options to appeal the tax. Other alternative solutions include restructuring school funding and more dialogue with state legislators. 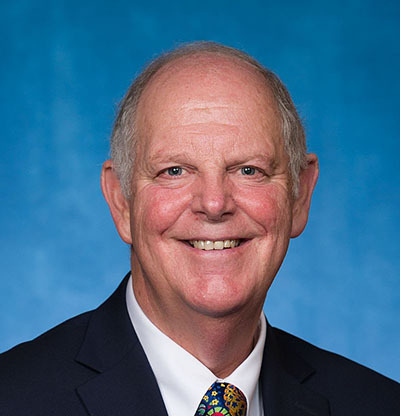 “We simply ask our state Legislature to come to the table with us to increase communication and allow us to help solve complex issues,” Smith said. 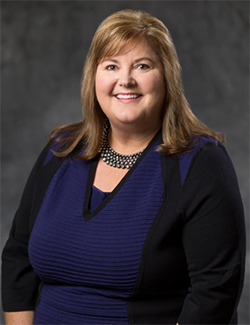 Smith has been a vocal critic of the Legislature, which, she said, often balances its budget “on the backs of towns, cities, counties,” and now school districts. Smith said those decisions by the state force local governments to determine how to adapt increased costs passed down to them, often taking the form of tax increases. “We believe it is disingenuous when we hear statements that indicate that our state budget has been passed without raising taxes, when in truth a portion of their budget has been passed to local governments,” Smith said. The Pinal County Board of Supervisors approved the tax unanimously during a special meeting Wednesday – with some reluctance. “I join with my fellow electeds in the City of Maricopa and Maricopa Unified School District as far as protesting this particular new tax,” said Supervisor Anthony Smith, husband of Nancy Smith. State Rep. Mark Finchem (LD 11) maintained the tax’s legality in an opinion piece sent to InMaricopa Thursday. “This is not a new tax, it is a tax moved from one funding source to another, putting the responsibility for funding on the community that uses the school system, and not other communities that do not have a segregation compliance problem with the U.S. Department of Justice Office of Civil Rights,” Finchem wrote. Desegregation funding has long been a thorn in many state lawmakers’ sides, with previous, unsuccessful efforts to alleviate the state’s funding portion in the past. “This issue was on the table long before the now very successful 20×2020 was finalized,” said Rep. Vince Leach (LD 11) regarding Ducey’s teacher salary-raise plan included in this year’s state budget. Leach suggested lowering local government spending and tax rates to fix the problem. State Sen. Steve Smith (LD 11) questioned how districts spend the money and whether those funds are necessary. Smith said a solution to the tax debacle is simple: Strike out desegregation funding. “It’s a bad tax that the local level should eliminate and get rid of it altogether,” Smith said. programming that aids in closing student achievement gaps and is necessary for teaching positions that primarily serve English Language Learners. 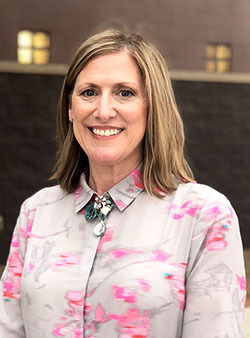 The district receives approximately $1.29 million annually in desegregation monies that fund the salaries of about 25 teachers throughout nine schools, according to Superintendent Tracey Lopeman. 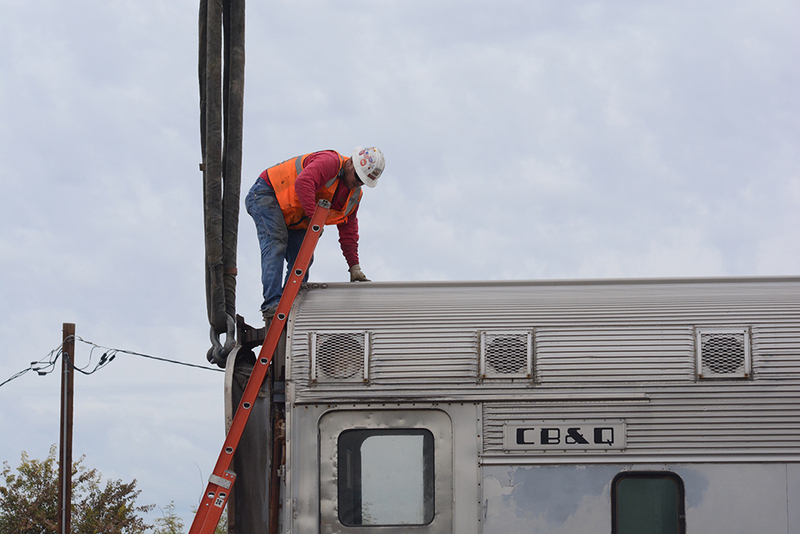 “It would be devastating if we lost that funding,” Lopeman said.